If you haven’t yet made it to Le Marche, home to the relentlessly charming Borgo Storico Seghetti Panichi, it’s okay; you’re not the only one. While Tuscany has been seducing visitors by the busload, life in this little province on the other side of the Sibillini mountains has continued contentedly along in its natural state of countryside peace and quiet. It’s got the smattering of medieval towns amidst its rolling hills, the excellent local wine and centuries-old cuisine, the winding roads and olive groves and a sea breeze, though from a different direction, off the Adriatic. About the only thing Tuscany has over it is a big city or two — and, of course, a better-known brand. It’s in Le Marche, on a vista-rich hilltop in the countryside outside the small provincial capital Ascoli Piceno, that we find the eleven-room Borgo Storico. The family that runs the country estate has lived here continuously since the 1750s, so it’s not just like staying at the lavishly appointed home of a particularly wealthy mom and pop, but the home of enough generations of moms and pops that there’s history in everything, from the antique furniture to old photographs of family friends. The suites are divided between two buildings. 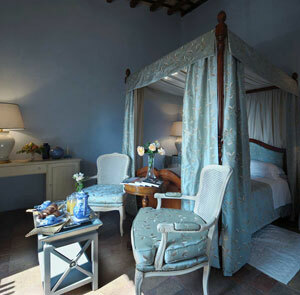 The Relais Villa, home to six of the suites, was originally a medieval fortress, before being adapted into a home in the 18th century. It’s surrounded by the ancient castle walls and by a well-kept garden (which was laid out by the 19th-century botanist Ludwig Winter). 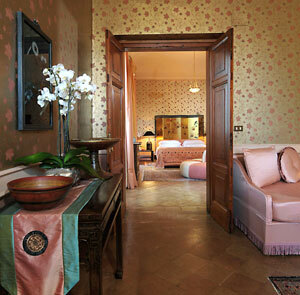 Each suite has its own character, but they all share generous collections of mostly 19th-century furniture, colorful patterned wallpaper and bathrooms full of marble. 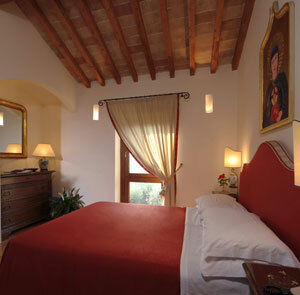 Five apartment-style suites are housed in the refurbished 16th-century Residenza San Pancrazio, with a gorgeous hillside pool and Mediterranean garden outside. 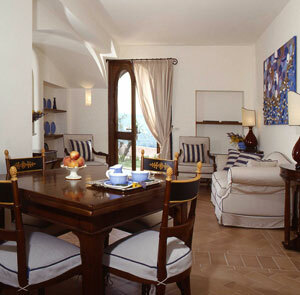 All but the Suite Sibillini, designed for people with disabilities, occupy two floors and feature views of the pool, garden or Sibillini mountains. 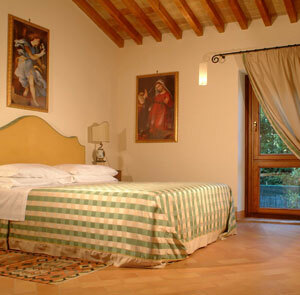 Borgo Storico Seghetti Panichi is less than 5 minutes from Castel di Lama train station. 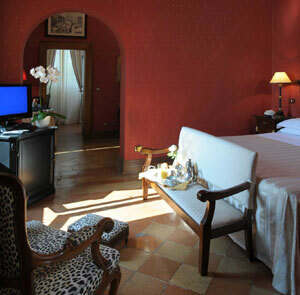 Castel di Lama is about 30 minutes by train from S. Benedetto Del Tronto and 20 minutes from Porto D'Ascoli. The closest airports are Pescara (55 miles/90 kilometers) and Ancona (70 miles/111 kilometers).